There’s so much to love about this book, from great quips to loveable characters it’s bound not to disappoint! Firstly, what on earth in ‘Wolf Wilding’?! When I started reading this book I had absolutely no clue as to what exactly the title meant. I just sort of thought it was trying to be fancy but going right over my head. Wrong! Wolf wilding is actually the process of taking tame wolves (who had been ‘adopted’ by the Russian aristocracy as pets) and making them ‘wild’ again (as a normal wolf would be) so that they could survive in the wild by themselves. This usually happens after the wolf snaps at someone, or eats a lady’s dress – that sort of thing. Sort of like when the zoo releases a monkey back to Borneo, or something. Aside from the actual story line itself, I find this whole idea of wolves being precious and a part of some weird superstitions to be utterly enthralling. I have such a soft spot for Russian history (because I study history and love it, not because I’m pro-1900 Russia . . . ) so this little aspect of the lives of the aristocracy and subsequently Feodora (or, Feo, for short) was super entertaining. I believe it is true that the wolves were kept as a sort of pet, but I may be wrong – so don’t take my word for it. 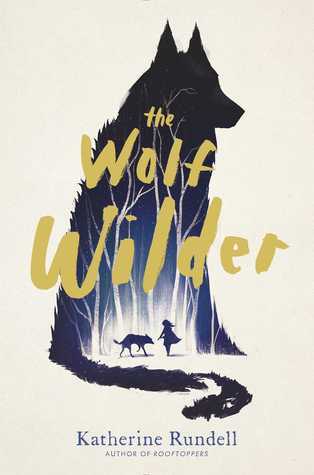 The Wolf Wilder follows the story of Feo (Feodora) who is a wolf wilder with her mother. It’s set in Russia and reads like an awesome fairy-tale. There’s an awful lot of snow and when the honest life of Feo and her mother is rudely shaken Feo must embark on an adventure that leaves her befriending and ballet-loving boy, Ilya, and leading a rag-tag army of children on a mission to save her mother from the evil grasp of the baddies. The wolves are a really fun aspect of the story and you’ll fall in love with every single character. The writing is so magical and allows you to really imagine what things looked, felt, and smelt like. The personalities of all the children were highly entertaining and super realistic, too. The solutions that the children come up with to overcome obstacles was fantastic and extremely inventive. I feel like this cover of the book sums up the atmosphere of the story really well. The book is set in Russia. The book follows the perspective of a young girl who wilds wolves. There are several wolves, a few deaths, and some great personalities. It’s a heightened version of reality and a wonderful modern fairy-tale. I will probably read this to my kids on a regular basis when I actually have kids. I’m left wanting to read everything else Rundell has written. EVERYTHING. Feo is my favourite character of the book. I love how courageous she is and how brave she must be when faced with some really difficult and grown up problems. Whilst this is a children’s book (so to speak) it would be entirely appropriate for adults to read too and therefore sometimes comes across as this wonderfully odd mix of despairing loss wrapped up in the flare of a fairy-tale. Feo is just so wonderful in her innocence as she doesn’t quite grasp everything’s meaning – and she’s written spot-on for her age; sometimes I find with books the characters read a lot older than what they’re supposed to be (Six of Crows by Leigh Bardugo, for example), which isn’t always a problem but it’s nice when you don’t get a shock when you remember how old the character is supposed to be. There were certainly many moments when Feo left me laughing aloud to myself in a busy train, very awkward. Ilya is our other main character throughout the book. He befriends Feo early on when he’s supposed to be ‘spying’ on her and reporting back if she was interacting with the wolves at all. However, being young and impressionable he falls in love with a wolf pup and tags along for the rest of the ride. He’s really fun character who’s the perfect balance to Feo. He’s a sort of mild character but the pack wouldn’t be complete without him. There’s definitely some interesting undertones to his character that I found very enjoyable – and also his dancing. 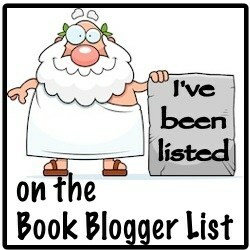 But that’s all you need to know about this book before you read it! I am definitely going to be purchasing a physical copy of this book for myself in the future because I loved it so much. I highly recommend this book to everyone – there’s definitely something in this for everyone. Feo is just a hilarious character with her attempts at certain faces in the way that young kids try to look mature and whatnot. She’s funny and relatable. The characters are so much fun and the plot it a great ride. You’ll laugh, you might weep a bit, and you will almost certainly finish the book desperate to read more of Rundell’s work. I know I did. Give it a go, I promise you’ll have a laugh! Want to chat more books with me? Find me on Twitter or Tumblr!